Just say the name – The Chateau – and it conjures up visions of grand living, space, elegance and entertaining. Well, this is not a vision but a reality when it comes to this king among double storey homes. And it could be just what you’re looking for to grace your cherished block of land in Melbourne or Geelong. 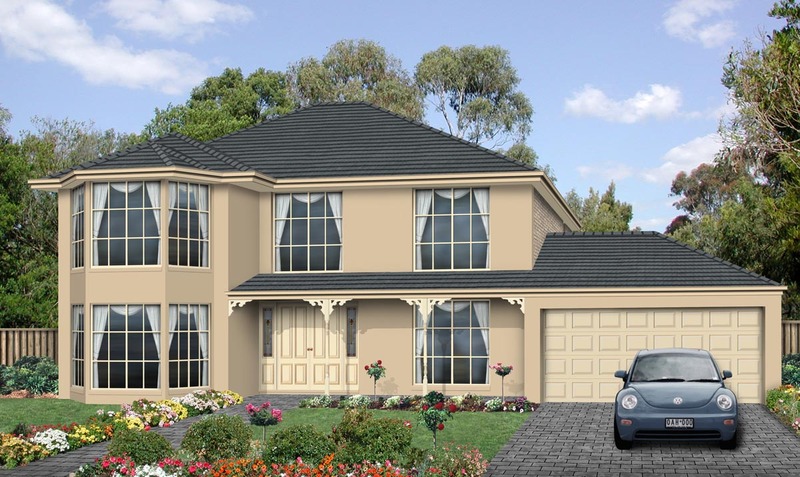 The Chateau, with its three bay windows, is a light-filled, four-bedroom home with versatile layout that is ideal for family living. 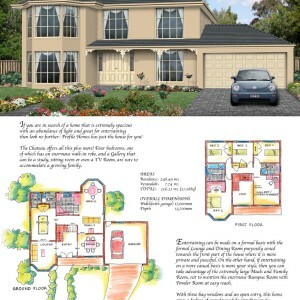 The two storey house designs are cleverly crafted to suit formal and informal entertaining. If you want to relax with the family, the spacious meals and family room and rumpus space are perfect. On the other hand, if you’re after a more formal option for your entertainment pleasure, then a separate lounge and dining room carefully sited at the residence’s front zone is just the ticket. 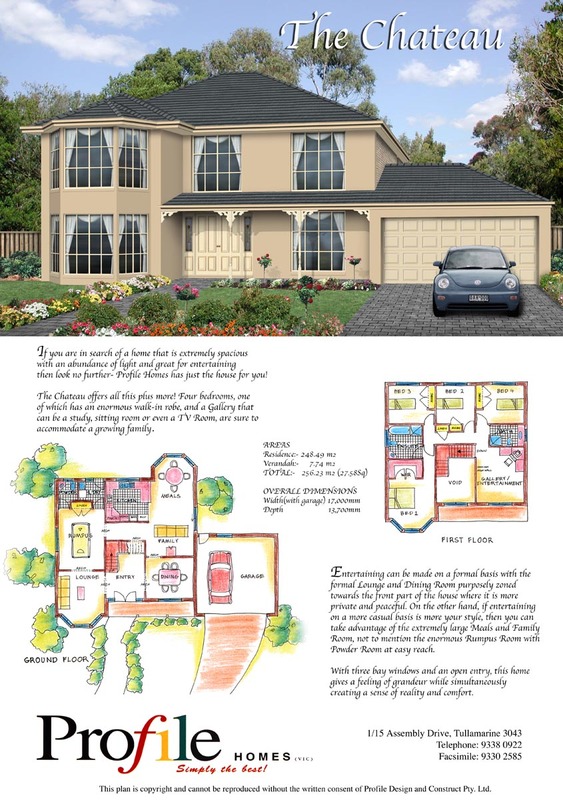 Few two storey homes you inspect will impress as much as Profile Homes’ The Chateau with its 31.5sqs of space. It’s ideal for the growing family. 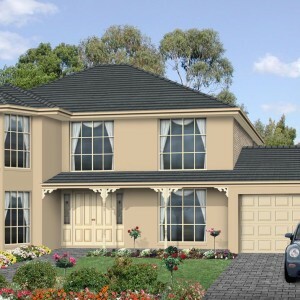 The house measures 292.2m2 including garage and verandah. It is 17m wide and 13.7m deep.